Russia's Central Bank purchased record amounts of gold in 2016, and plans to accelerate its purchases, retaining its spot as global leader in the growth of gold reserves. That's according to a recent survey by the GFMS analysts at Thomson Reuters. Russian economists explain the thought process behind the Bank's purchases. According to GFMS analysts, Russia's Central Bank purchased 201 tons of gold in 2016, more than the central bank of any other country. The Bank made its purchases over 11 consecutive months, with purchases accelerating to an average of 36 tons per month between October and November as gold prices fell. The analysts expect Russia to continue buying large volumes of gold in 2017, predicting about 200 tons in purchases, regardless of fluctuations in gold prices, oil prices and even exchange rates. For comparison, the report estimates the total purchases of gold by other Central Banks to amount to roughly 250 tons for the year. As of March 1 2017, Russia's sitting on 1,654.7 tons in gold reserves, making its reserves the sixth-largest in the world, behind the United States, Germany, Italy, France and China. 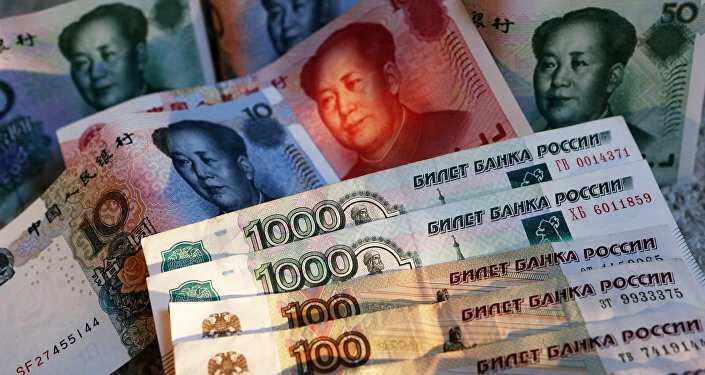 Commenting on the Central Bank's moves, economist Valentin Katasonov, professor of the faculty of international finance at the Moscow State Institute of International Relations, told Russia's Svobodnaya Pressa online newspaper that the Bank is making the right move. "The Bank is doing the right thing. Specialists know that the today the price of the precious metal is undervalued, and significantly so. Therefore, investors looking for long-term results are investing in gold," Katasonov said. "Of course, from the perspective of the short-term investor, such an investment means possible losses. The gold market includes very large speculators, who periodically reduce prices artificially for some period of time, making it possible for interested investors to buy gold at a lower price. But this market also has its own written and unwritten rules." Katasonov reiterated that as far as Russia is concerned, the Central Bank's decision to stock up on gold is almost exclusively beneficial. "Among other things, it allows us to support the domestic gold mining industry, which in the 1990s and the early 2000s faced a very difficult situation. And what is especially insulting is that most of its output at the time went abroad." Of course, the economist stressed that the introduction of a Russian gold-based currency would be even better, although there are essentially no countries remaining in the world today where paper money can be exchanged for the precious metal. "There is an even more important purpose for gold – that of strategic reserve," the economist noted. "Factually, this is 'emergency' currency which can be used in the event of a collapse of the so-called reserve currencies, including the US dollar, or in the case of a collapse of the global financial system into a series of currency blocs – allowing for trade to occur between these blocs." Katasonov emphasized that the world has already witnessed the latter kind of collapse – when in the 1930s the global financial system was split into several currency blocs. At the time, gold was seen as a universal means of payment, which made it highly sought-after. "Therefore, I think that gold –as a strategic reserve – should be in the hands of the state, that is, in the hands of the Ministry of Finance. The Russian Central Bank is not an appropriate institution for this, in my opinion." The crux of the problem, according to the economist, is that the Central Bank "is not entirely [accountable] to the President or the Russian government, and is capable of making decisions which run counter to the interests of the Russian Federation, including as far as gold is concerned." For his part, Nikita Maslennikov, an expert at the Institute of Contemporary Development, stressed that the Central Bank monitors market condition, and appropriately makes purchases during downswings. In any case, gold is a highly liquid asset. "The Bank's goals are clear," the expert said. "Gold is a good buy when seeking to ensure the country's international position. Ratings agencies, for example, look at the size of gold reserves. Furthermore, for large players, the growth of the share of gold in a country's reserves is recognized as an indicator that the country's economic authorities are trustworthy. In fact, this indicator by itself motivates the development of trade ties."